Game on! Suitable for a variety of ministry settings, 180 Faith-Charged Games for Children's Ministry will get kids in grades K-6 amped up with the Word while having a blast! 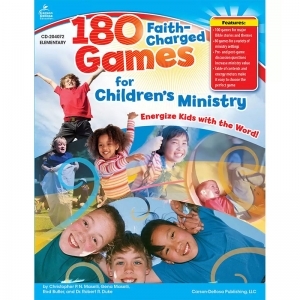 This 192-page Christian book includes 100 Bible story games that correlate with major Bible stories and themes and 80 situational games. Children in large-group or small-group settings will enjoy: icebreaker games, team-building games, outdoor games, silent games, TV-themed games, and holiday games. Major Bible stories and themes are explored in a fun way that will have kids looking forward to more! Includes 192 pages. 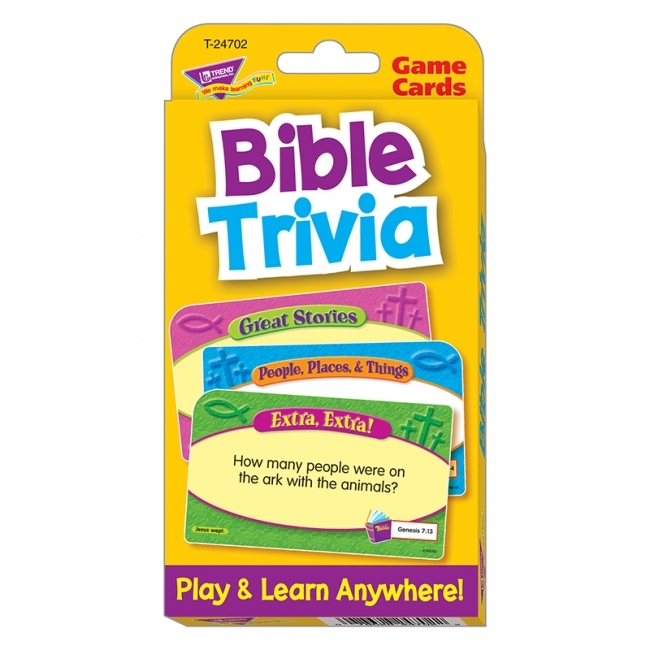 Game play helps children learn important Bible stories and fun facts. 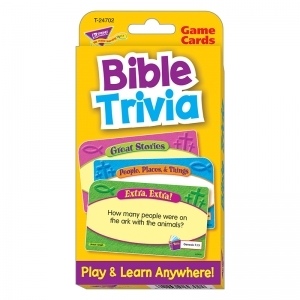 Test your knowledge with four categories of Bible trivia. Two levels of play on each card. A unique, engaging learning supplement for Christian classrooms, activity centers, home, and travel. 56 two-sided cards, 3.125" x 5.25". Activities included. For ages 6 and up.